Sites built to share your files are, as they say, a dime a dozen. Sites that will let you share larger files, which may be several GB in size, are not nearly as common. 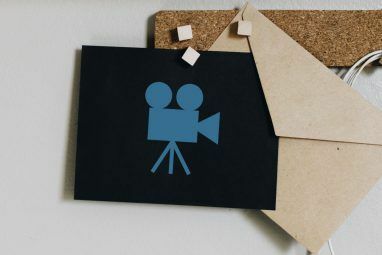 Having scoured the web for candidates, I’ve narrowed them down to four ridiculously simple services which will have you swapping movies – I mean, perfectly legal Creative Commons-licensed videos – in no time. Zapr is, in essence, a small Web-server that sits in your system tray. Instead of leaving your entire machine open, you select what files are to be served, and can password-protect them as you see fit. For demonstration purposes, I have uploaded a compressed ZIP file of the most-recent Editors’ Picks from open-licensing music site CCMixter. The selection process was as simple as opening a file in any Windows program. Next step was to select the privacy level. Once that’s done, your selected file is instantly available for download, either as a public link from username.zapr.com, or as a private link you can send to select friends and colleagues. No other uploading is required as the files are served directly from your PC. This means no file-size or bandwidth limits. Of course, this also means that for your friends to get at the files, you must leave your PC on with the Zapr client running. As long as that’s not an issue for you, then Zapr is the fastest and easiest internet file-sharing solution I’ve seen for Windows users. Moving on now to the Web-based fare. 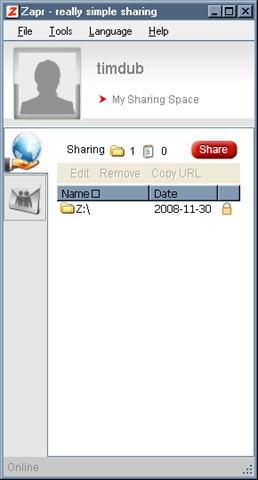 FileAI works much like Zapr, but consists of a Java-based in-browser client. Any platform that supports Java should work with FileAI. There is no size or bandwidth limit, much like with Zapr, because the files are again served directly from your PC. Downloads can be password-protected and also limited by how many times a file can be downloaded before it expires. FileAI promises “Bit-Torrent-style” distributed file transfers among multiple recipients. Downloading a file is as easy as visiting the site and entering a transfer-ID number or clicking a direct link. The Java client handles all transfers. 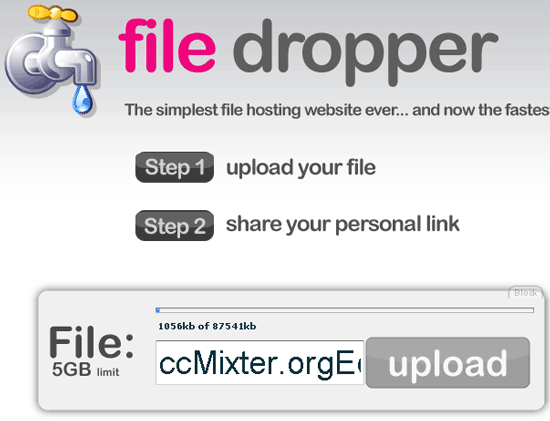 File Dropper claims to be the fastest file-sharing site, and it certainly is fast. It can’t be much simpler. 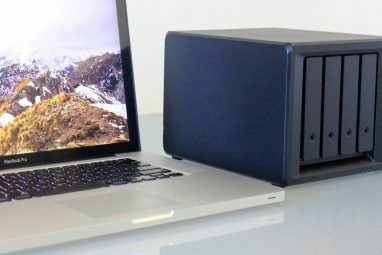 Ideal for sharing large video files. Upload a file of up to 5GB in size and receive a download link to pass to your friends. Uploads start immediately upon choosing the file. The site will try and up-sell you on its new premium services, but most of us will find the quick and signup-free basic service to be sufficient. At first glance, File Shaker looks a lot like File Dropper, just a bit more colorful. File Shaker offers the same quick, login-free, basic upload service, with the maximum file-size bumped-up to a whoppin’ 10GB. Upload time for the same ZIP file was about equal to File Dropper. For a dead-simple 10GB upload, you can’t beat the price, although given File Dropper’s push for premium accounts, I would not be personally surprised if File Shaker drifted towards the same business-model. There you have it. The four easiest solutions I could find for sharing large files on the web. I certainly could have missed out on a few gems, so commenters, please let me know what I’ve missed. I won’t take it personally. ourfilebin.com is pretty simple too. Make that 5. 2large2email (2large2email.com/) should also be on the list. 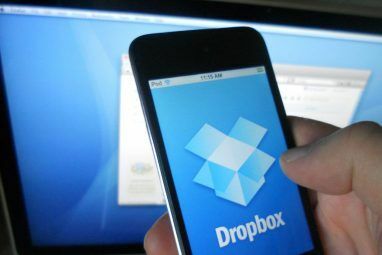 I recently discovered dropbox and it is really awesome :P.
Drop.io and Dropbox are both great services. I especially like how Drop.io integrates with Twitter. This site has a very simple interface with extra features you won't believe.